Leicester City football club are one of the few teams whose football nickname is intrinsically linked into its official club badge. They are of course known as “The Foxes”, and although most fans could have told you that how many (Leicester fans aside) can explain why? Well, its not that difficult a connection to make really as Leicestershire was one of the strongholds of fox hunting (before the government decided to get involved) being home to the famous Quorn hunt, so it should come as no surprise that the football team adopted the Foxes as their nickname. 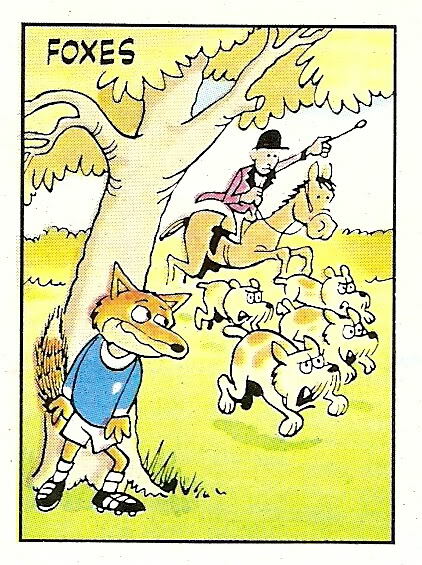 Although the Foxes is the accepted nickname and probably the only one that comes to mind for most football fans they have had another nickname, the 1959 Encycolpedia Of Sport records them as being known as The Fiiberts, this of course related to the fact they used to play at Filbert Street. "Leicester City are known as The Filberts (sometimes Nuts) owing to the fact that their ground is situated in Filbert Street. The ground, which is overlooked by houses on one side, has been greatly improved and has now an imposing double decked stand. 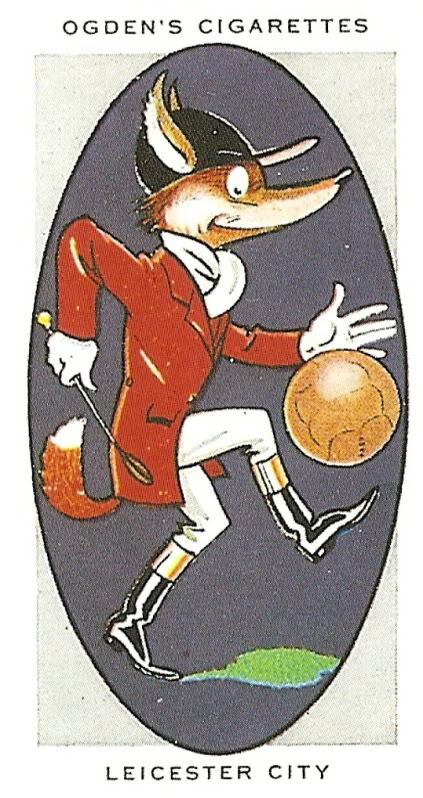 In the first instance, in 1884, the club bore the name of Leicester Fosse and was admitted to the Second Division of the League ten years later. They acquired their present senior status in 1925 and although it was seriously threatened in season 1932-33 they have continued to retain it. Their football bears the Scottish stamp and they have always been a very attractive team." We arent sure exactly where "The Nuts" nickname came from despite extensive research so that ones a mystery unless anyone can enlighten us? Finally the cartoon above is Paninis take on the Leicester City football nickname, this sticker was part of the Panini 86 sticker series. This sticker, and the cigarette card, can be purchased on our Footybits site (link at top of the page) where they have been mounted in a clear fridge magnet.